* All screenshots are taken from a QuickBooks Online sample company. Make sure your QuickBooks Online company is open in a web browser. Select the gear icon in the top right corner of the screen. 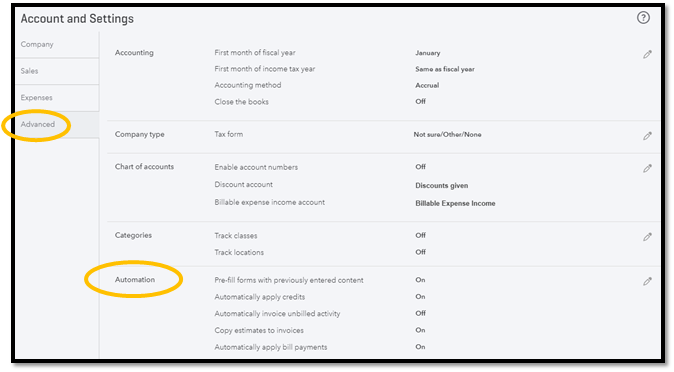 Select the Account and Settings option under the Your Company column. Select the Company tab on the left side of the screen. Scroll to the bottom until you find the Communications with Intuit row. Select Marketing Preferences. A new web browser tab with open with the URL: https://privacy.intuit.com/cpi/do/signin. 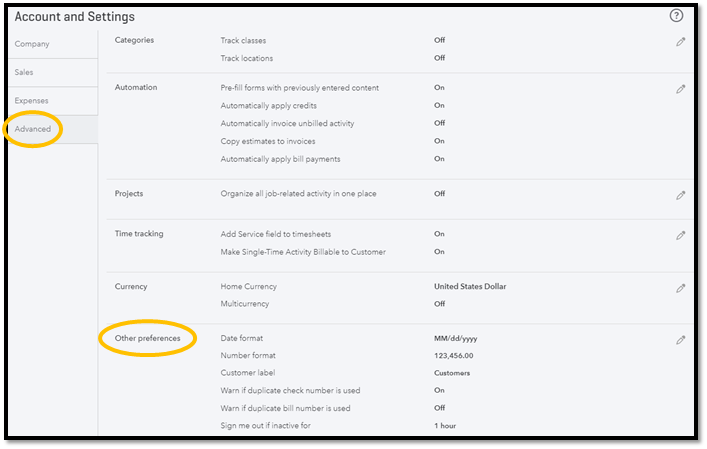 Here you may select whether or not you want Intuit to send you physical mail, emails, or contact you by phone with marketing content. Check the box(es) you want and select Next. Fill in your personal information and select Next. 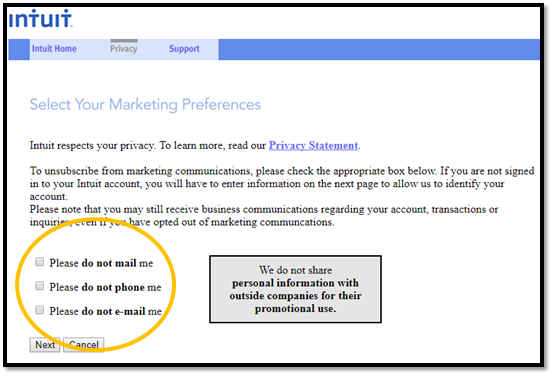 Review the information to confirm your personal information and your marketing preferences, then select Submit. Select the Advanced tab on the left side of the screen. Scroll to the bottom until you find the Other preferences row. Either select Other preferences or select the pencil icon in the top right corner of the row. The bottom setting within the Other preferences row is the automatic time out setting. This setting gives you the option to select one hour, two hours, or three hours. Select your preference, select Save, and select Done. Select the Advanced tab on the left side of the screen and locate the Automation row. The top setting within the Automation row is Pre-fill forms with previously entered content. 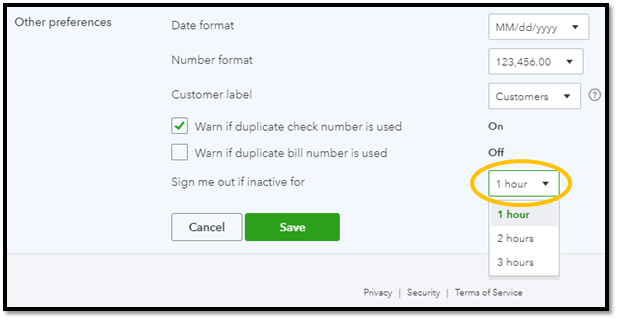 You can turn this setting on to automatically fill other fields of the form based on the last saved transaction for that customer, vendor, or employee. 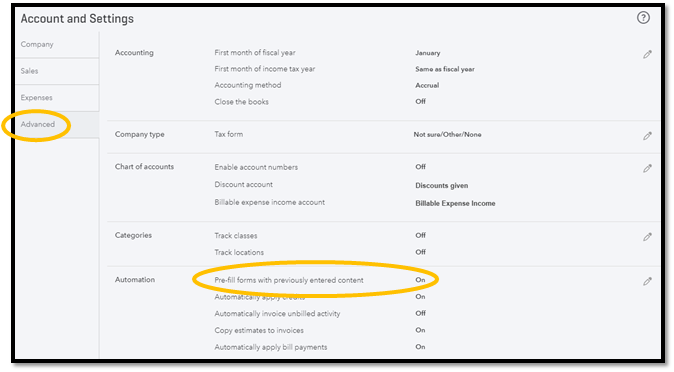 While you are here, you will want to review the other automation settings to make sure that QuickBooks Online automation function is set up according to your preferences.